In conjunction with Scuderia FSG's 4th anniversary celebration, the club had the privilege of participating in Singapore's countdown to the 28th SEA Games. A special formation of the roman numeral "IV" made up of exotic sportscars was done to represent the number of days left before the event's official opening ceremony. Supporting this year's SEA Games theme "Celebrating the Extraordinary", and as part of a nation wide 50-day countdown, the Scuderia FSG (SFSG) Exco team spent over three months conceptualising this compelling night-lights formation. This feat was executed in complete darkness with the aid of only hand held LED lamps at the iconic old Kallang airport, a place close to the hearts of many Singaporeans. 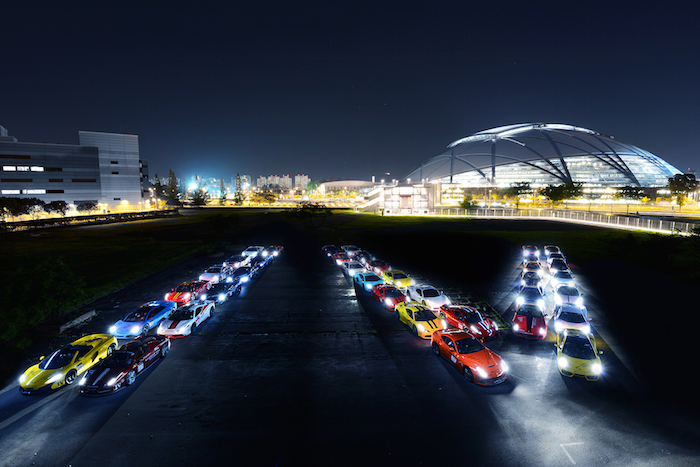 With the imposing Sports Hub as the perfect backdrop, the final image portrayed is emotive, poignant and powerful – celebrating the spirit of sports through displaying the athleticism of modern day super cars. "We are very excited to be part of The Final Countdown for the SEA Games," said Mr. Eu Gene Goh, President of Scuderia FSG, an independent, by-invite-only enthusiast supercar club founded in 2011, which extols the virtues of friendship, camaraderie, passion for motoring and love for people. 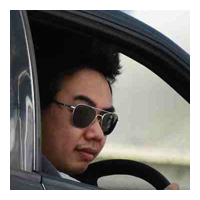 "Our members share common values within SFSG; to develop lifelong friendships and appreciate the joy and passion that comes with owning performance cars. However, our real emphasis is on driving and taking part in locally-led initiatives and charitable events, which form an important part of our club's culture." As part of the club's charity and community efforts, SFSG was the Philanthropy partner and co-organiser for My Singapore 2014 National Day charity fund raising project / concert in support of President's Challenge 2014, where the club helped raise over S$200k. More recently, the club was a key partner for the Brain Tumor Society Charity Drive 2015 – helping to promote awareness and raising funds for its cause.